Last night Peter Hain announced that he’ll be standing down from parliament next year after 23 years as MP for the Welsh seat of Neath. Hain – who rose to prominence as a Young Liberal and prominent anti-apartheid campaigner before serving as a cabinet minister under both Blair and Brown – said that he had decided to “draw stumps” on his Commons career. Hain served in a variety of roles in government, most notably as Secretary of State for Wales (twice), Leader of the House and Secretary of State for Northern Ireland. He also made an unsuccessful bid for the Deputy Leadership of the Party – a campaign that briefly cost him his place at the Cabinet table after donations weren’t declared properly. After the 2010 election, Hain was one of the first MPs to back Ed Miliband, and his support was repaid with a place at the Shadow Cabinet table, and responsibility for the NPF and the first tranche of party reform conducted by Miliband – Refounding Labour. Since leaving the Shadow Cabinet in 2012, he has continued to back Miliband from the backbenches. “A political activist and campaigner for over fifty years Peter Hain is one of the most experienced politicians in the House of Commons in which he has served as Member for Neath for nearly a quarter of a century. It goes without saying that his integrity, wisdom and firmness in speaking up for those least empowered to speak for themselves, will all be sorely missed. Whether on the backbenches, the front bench or in the Cabinet he has served the Labour Party and the country tirelessly. “He served with great distinction as Secretary of State for Wales, for Work and Pensions and as Leader of the Commons but it was as Secretary of State for Northern Ireland that Peter will be most missed, negotiating the historic peace settlement establishing devolved government in North Ireland. “Having been reselected last December as Labour candidate for Neath, I was planning to stand again next year. However, after considerable thought and in discussion with Ed Miliband, Leader of the Party and for many years my close colleague, I have decided to draw stumps on my House of Commons career. I have been in politics for some 50 years, 23 of those in the House; whilst it is my firm intention to remain active in politics, I have decided that it is time to find new ways to represent the new progressive politics to which I and Ed Miliband are committed. It’s time for a change. The crucial phrases in both statements are about remaining involved in politics. Often when politicians leave the Commons they talk of “new challenges”, but we see little of them again. 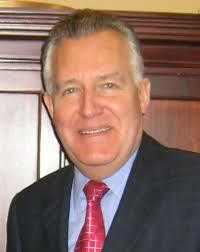 Peter Hain, however, isn’t someone who has needed to be an MP in order to be a prominent, public, political figure. He may be leaving the Commons, but he’ll still be actively involved in British politics. He’s always been a good friend to LabourList – we look forward to seeing what he gets up to next.